Keneric Healthcare is the manufacturer and distributor of RTD®; a line of advanced wound care products. Keneric Healthcare is the manufacturer and distributor of RTD®; a line of advanced wound care products. 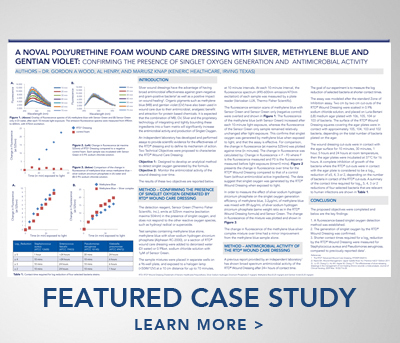 RTD® is a proprietary highly absorbent antimicrobial foam with Methylene Blue (0.25 mg/g), Gentian Violet (0.25 mg/g) and Silver Ion (7 mg/g) integrated into the polymer matrix. 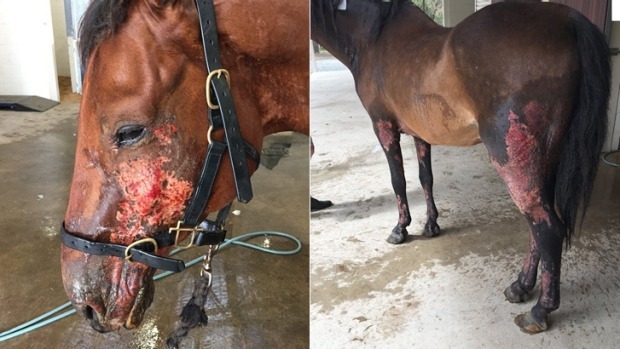 RTD® is the universal quick-closing, moist, advanced oxygenation capillary-suction-therapy and biofilm reducing dressing with bio-burden sequestration. The foam dressing is antibacterial, antifungal and analgesic. RTD® is effective in regulating wound bed moisture and improves healing without maceration. Most patients report a decrease in pain within 15 minutes of application. The strong tensile strength of the fibers allows for easy removal of the dressing without residual fibers being left behind. RTD® is an FDA cleared wound dressing indicated for a the treatment of a variety of wound types with light to heavy exudate production. RTD® is available in various sizes and thicknesses. Keneric Healthcare is attending the 2016 Diabetic Limb Salvage Conference(DLS). DLS has been a mainstay in Washington, returning every October for the last 8 years. 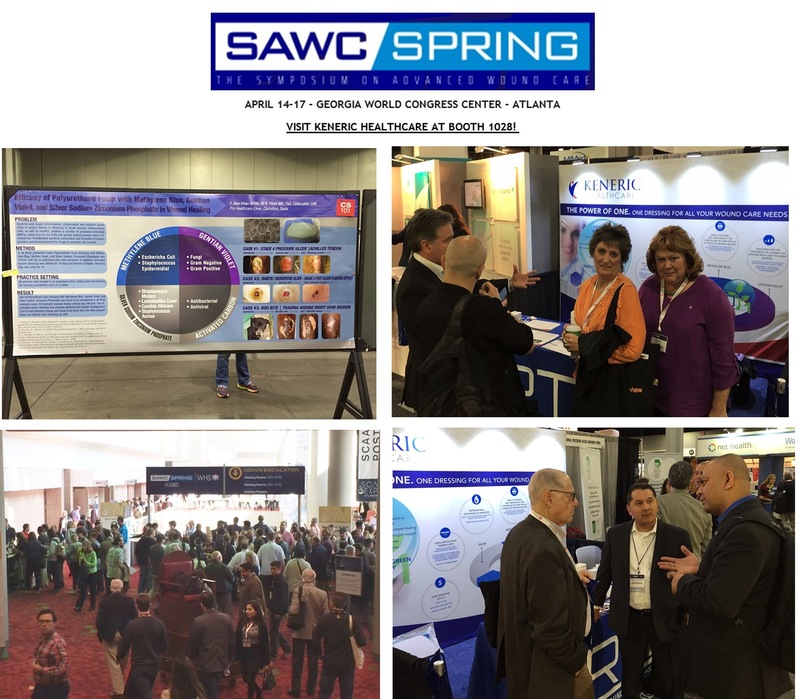 And year after year, surgeons and allied health professionals have come to rely on DLS as a premier source for trending ideas, technology, and treatment techniques in diabetic limb salvage. 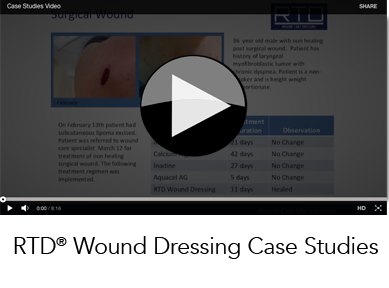 Join us and see RTD® Wound Dressing in action!